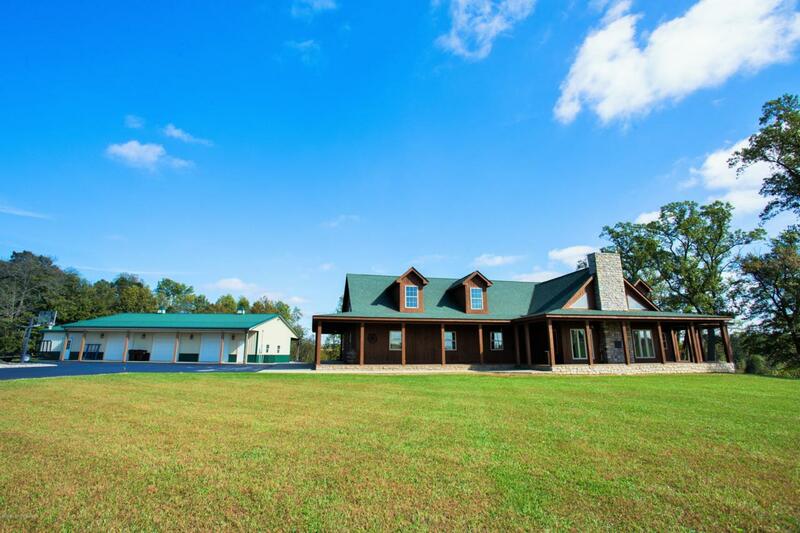 This spectacular lodge style, cedar sided home is situated on 38.86 beautiful, rolling Trimble County acres. This magnificent home features over 2000 sqft of covered, wrap around porches . 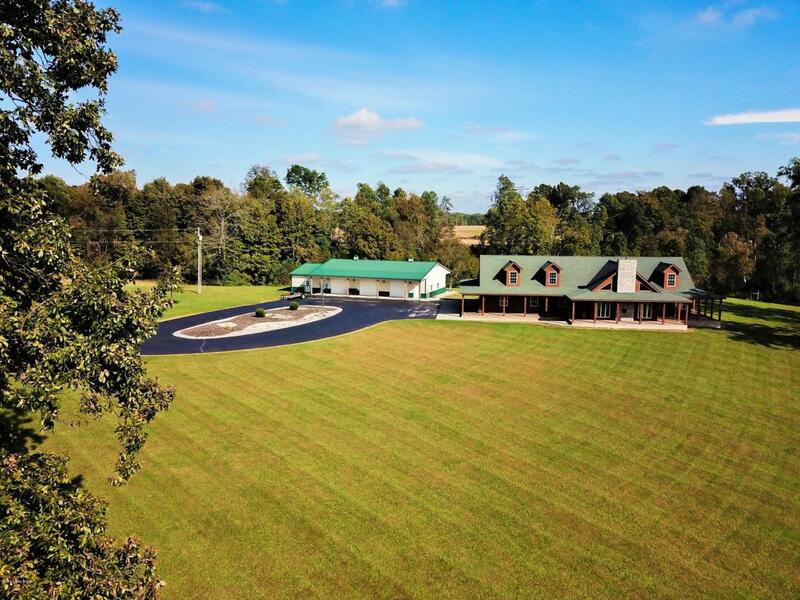 From the porches you can enjoy views of the rolling acreage, woods and the approx. 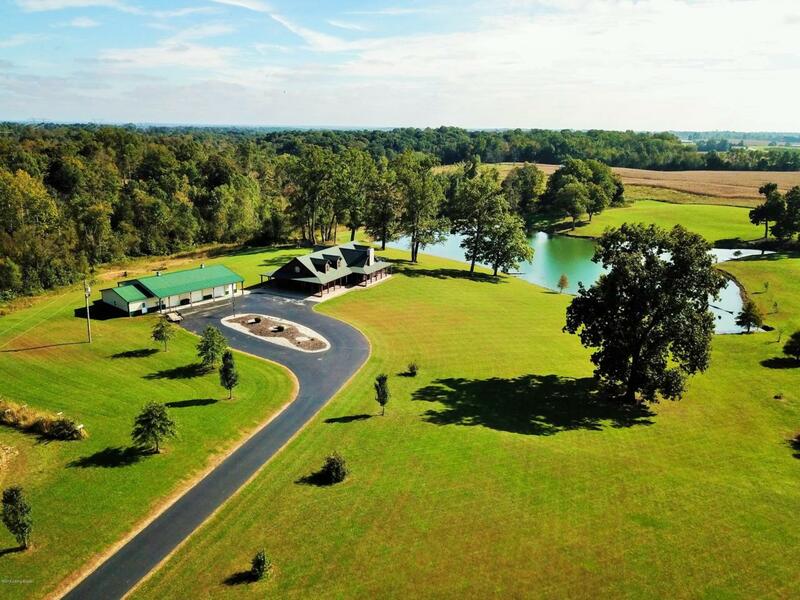 5 acre spring fed, stocked lake. The lake is approx 47' deep at it's center and was designed to raise trophy fish. No expense was spared on the construction of this lake. The expansive lodge style room toward the center of the home is open and encompasses the kitchen, dining area and great room. This area, which is made for entertaining, features Brazilian Walnut hardwood flooring, ceilings that soar to 20 ft, an abundance of natural light & a wood burning stove perched atop a stone hearth with stone accent wall behind.There is also an open loft overlooking this area featuring a beautiful sculpted iron railing with nature scenes. The kitchen features lots of beautiful hickory cabinets, a counter bar, S.S. appliances and a walk-in pantry. This home features a split bedroom floor plan with all of the bedrooms being quite large. The master bedroom is located just off the Great Room, it offers a view of the lake and features a beautiful en suite master bath. The other 3 spacious bedrooms and impressive full bath are situated on the other side of the Great Room. Last but not least this property offers a 3 bay 34' X 76' pole building with concrete floors, electric, water and a 16' X 34' partially finished man/woman cave or efficiency apartment. There is a 12' X 76' shed to the rear of the building for covered parking of additional equipment. 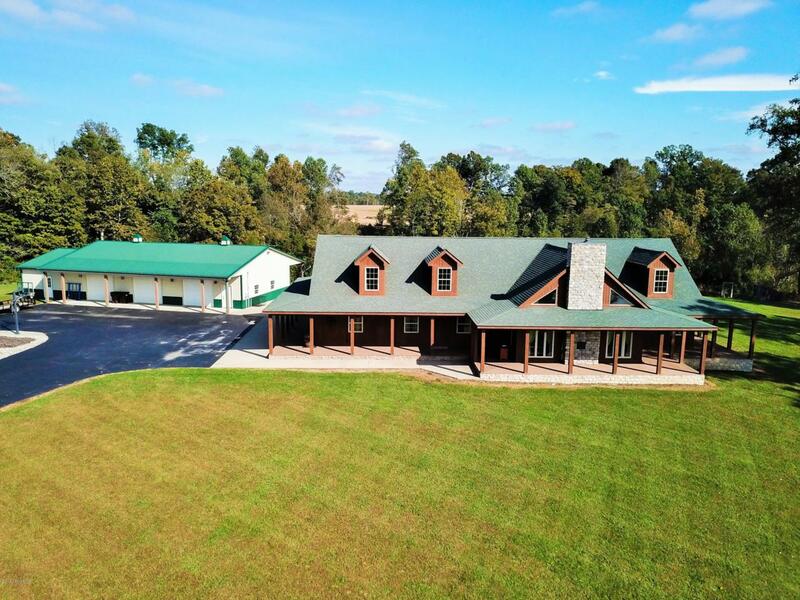 Whatever you prefer; gardening, hunting, fishing, four wheeling & more....... this property delivers!! Call today for your private showing.